Most of my posts are directed at arming job seekers with the ammunition needed to conduct a successful search. This time, I set aim at the other side of the table. I hear the same complaints repeatedly from clients about how they were treated during the recruitment process. So, to those in charge of recruiting for your organizations, here are some recommendations. According to Dr. B Lynn Ware, President/CEO at Integral Talent Systems, organizations should do more to develop and hone their employment brands and then ensure that every touch point with targeted candidates consistently reflects that brand. Much attention is focused on the marketing of programs and services while employment branding and its execution are an afterthought. As a result, candidates may have misperceptions about what it is like to work there. Read the entire resume. You asked for it, so read it carefully. With so many resumes to review, most recruiters are looking for a way to make that pile smaller and use the average 6-second scan to find a reason to reject. You could be eliminating some of the best candidates. The extra time up front is much shorter and less expensive than making a mistake. In screening a resume, recruiters should focus on identifying the candidate’s achievements, whether for work or a side project, and should learn to read between the lines, watching for these factors. Overselling: In reading through her job descriptions, the candidate may look like she’s the greatest thing since sliced bread. However, practically speaking, could all of the stated achievements been made in the specified timeframe? Ambiguity: Because only so much information can fit onto a resume, oftentimes responsibilities are described very generally. Recruiters should make sure they can ascertain the activities executed by this candidate specifically. It’s rare that an organization will be hiring the entire team at once. Depth of Experience: How long has the applicant been engaged in the pertinent experience? How much a part of her role was it? She may be able to truthfully say she has the knowledge, but is it strong enough? Look for length and level of her participation. Having said this, candidates need to be able to convey their achievements on “paper” articulately, based on educating themselves as to how their resume will be reviewed. Lengthy application forms have got to go. Some go on for pages, and each must be completed before continuing to the next. There is no way to look ahead to see what more will be required. Who wants to fill them out? No one. Who wants to read them? No one. Fortunately, some smaller organizations are opting for a much simpler route with a simple upload of a resume or social media profile. Why insist on entering every job’s details when they’re already on the resume? There’s no reason to ask for all the candidate’s personal information unless and until she’s seriously being considered. Make your entire process comfortable for candidates and as streamlined as possible. 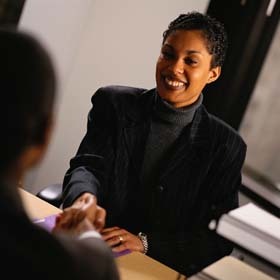 Treat them like guests in your home when they come in to interview, and provide clear feedback and status quickly. Lack of clear and timely communication is probably the #1 complaint of candidates. 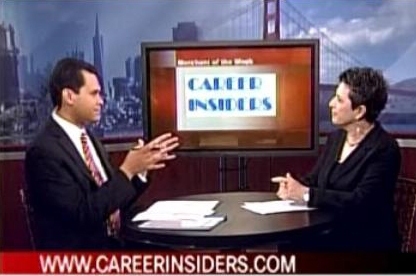 Hi I’m Mauri, President/CEO of Career Insiders, a career management and talent acquisition consulting firm. I speak frequently at conferences, job fairs, and career panels. Recently Career Insiders has increased its Talent Acquisition line of business and has successfully placed a VP Marketing at a rapidly growing company, and have another one on the way. Our recruiting focus is on executives in sales/marketing, finance, corporate legal, and HR.